What is Salwa Judum: Salwa Judum (meaning "Peace March") refers to a anti-insurgency operation in Chhattisgarh, which is aimed at countering the naxalite violence in the region. The militia consisting of local tribal youth receives support and training from the Chhattisgarh state government. Salwa Judum began in 2005 as a government-backed "people's resistance movement" against the Maoists. In the Gondi language of the tribals of Dantewada and Bastar, Salwa Judum means peace march. But in effect, it involved authorities arming tribal villagers to fight the Maoists. On July 5, 2011, the Supreme Court of India declared the militia as illegal and unconstitutional. 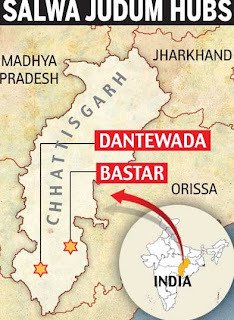 The court directed the Chhattisgarh government to recover all the firearms given along with the ammunition and accessories. It also ordered the government to investigate all instances of alleged criminal activities of Salwa Judum. The use of Salwa Judum by the government for anti naxal operations was criticized for its violations of human rights, use of child soldiers and poorly trained uneducated youth for counter-insurgency roles. 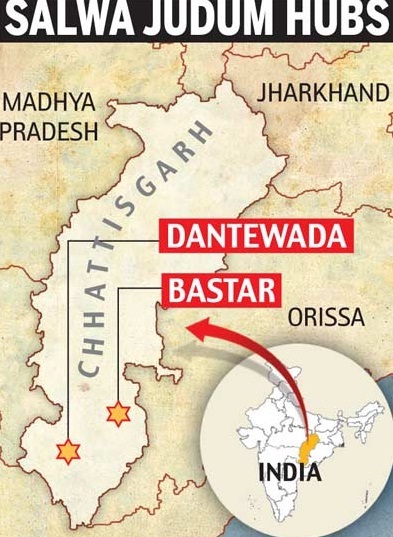 However, the Salwa Judum appears to have been abandoned in Chhattisgarh state, with Chief Minister Raman Singh describing the movement as "over", because it was counterproductive and "innocent people were being killed" Singh, however, said that a "peaceful campaign" to wean locals away from supporting Maoists would continue. In a big attack on 25th May,2013 in sukuma distt,chattisgarh,salwa judum founder mahendra karma was killed by naxalites. Salwa Judum and Mahendra Karma: Mahendra Karma was a Congress leader from Chhattisgarh, India. He was the leader of the opposition in the Chhattisgarh Vidhan Sabha from 2004 to 2008. In 2005, he played a top role in organising the Salwa Judum movement against Naxalites (Maoists) in Chhattisgarh. 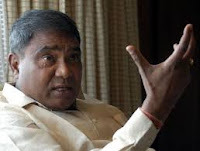 He was a Minister of Industry and Commerce in the Ajit Jogi cabinet since the state formation in 2000 to 2004.. He was Killed by naxalites on 25 May 2013 in a Maoist attack while returning from a Parivartan Rally meeting organised by his party in Sukma when he was attacked.